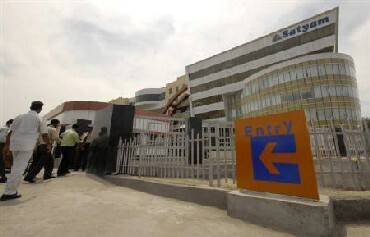 Back on track under the new management of Tech Mahindra, Mahindra Satyam (the new identity of information technology outsourcing company Satyam Computer Services Limited) is bullish on joining the league of its peers through its predefined three-year turnaround plan. 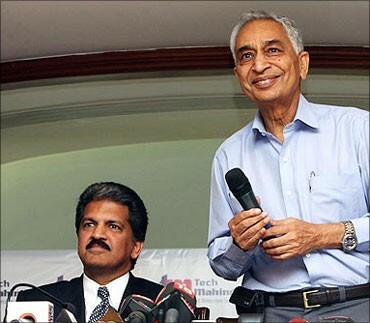 At a press conference chairman Vineet Nayyar, chief executive C P Gurnani and outgoing chief financial officer S Durgashankar, charted out the company's plans, including pitching for large deals, merger proposals and growth trajectory. Last time (the second quarter), you gave an estimate of three years to come back to normalcy. And, given the current performance and the demand that you have seen, can you give us an update on when you expect Mahindra Satyam to be on track and perform in line with the industry? Gurnani: The period started in June 20, 2009. So, by June 19, 2012, we hope to bring our operating metrics in line with our peer group. How has the employee utilisation and attrition rates been in the third quarter? Durgashankar and Nayyar: There is an uptick there. Last quarter it was 71 per cent and it is currently 73.2 per cent, which is what is contributing to our revenues substantially. 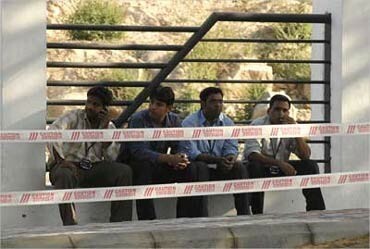 On attrition, it is now running at about 25 per cent, which, incidentally, has now come down almost to the industry norms. What were the key factors for growth in margins, which stood at 6.4 per cent in Q3 compared to 5.9 per cent in the Q2, and did lower taxes led to increase in margins? Nayyar and Durgashankar: It was essentially driven by increase in utilisation and revenues. Tax provisions are made taking into account the entire year. And there is also a composition, which may reflect between international and Indian revenues. So, there would be some variations in quarter-on-quarter. Gurnani: Overall, the CIOs spend has stabilised. 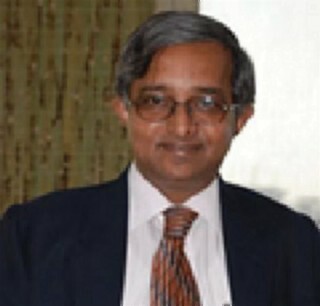 In the 2011 financial year, the CIOs realised they have more challenges ahead. The CIOs are obviously looking at better utilisation, better efficiency and better productivity. Some of the CIOs are looking at more outcome-based, transaction-based and results-based business model. We are in front of the CIOs and are able to get them new alternative, which is built around private cloud or a private-public hybrid cloud and software-as-a-service so that we get transaction-based billing. The demand pattern is certainly coming from Europe and parts of the Arab world and going global right now. The clients numbers have come down to 217 from 350 last quarter. Nayyar and Gurnani: It is because of the periodicity in billing. We have 217 active clients and added four new this quarter. We are not getting good opportunities to compete in large deals because most of the adviser and analyst community wanted to wait and watch. Now that embargo is not listed, we are now being invited into large deals. Our deal pipeline is completely healthy. What are the focus areas now? Gurnani: The company is being built on five pillars - consulting, business volume enhancement and enterprise business solutions. 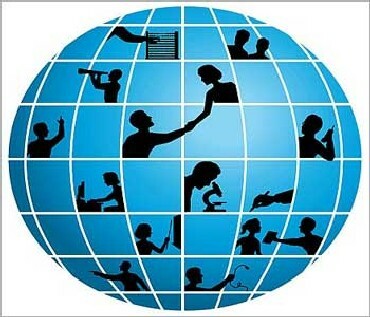 We have certain areas where we have huge advantages and unfolding the programmes as we grow. One is MCube initiative through which we are leveraging the presence of Mahindras in various multifaceted sectors. Along with Tech Mahindra, we had done a synergy meet very recently and are unfolding solutions around connectivity and enterprise mobility. And, a fair amount of pilot cases have already been launched. Overall, we are running this MCube advantage. However, some of these contracts have fairly long sales cycles, so I don't think we would be able to give you exact details on that. Are you looking at getting back to old clients that you had lost earlier? Gurnani: We are working with some of the accounts where we had relationships. We have recently been confirmed by two of our old clients this quarter - one in the insurance sector and one in the manufacturing sector - which have re-signed the services agreement with us. We are getting back to business with them. If they allow us to disclose their names, we will definitely announce their names during our next quarter results. When could the merger between Tech Mahindra and Mahindra Satyam happen? 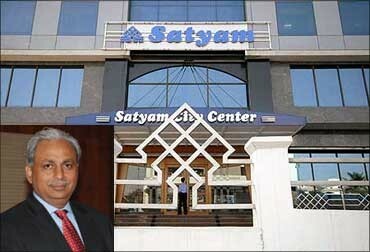 Nayyar and Gurnani: When we had acquired Satyam, that very day we made an announcement that it is our intention to merge the two companies. That intention still remains. When we will trigger it it has not yet been decided. On the wage hikes that we had given, we have onsite wages and we try to adjust it with the living indexes of the onsite territories. 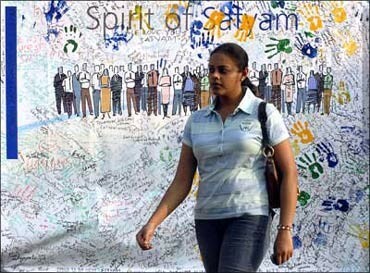 So, the onsite wages is at 3.1 per cent and average wage hike for India staff was at 15 per cent. 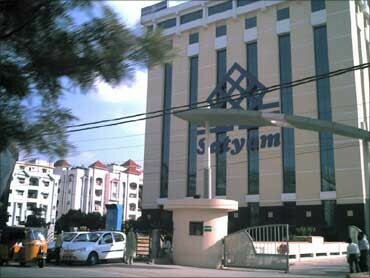 Overall, the average hike at Mahindra Satyam was at 12.5 per cent last quarter. 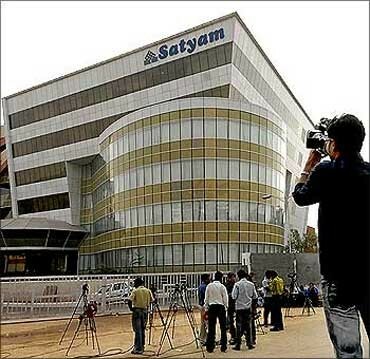 What are the focus areas for Mahindra Satyam now? Gurnani: We have five pillars on which we are building the company, including consulting, business volume enhancement and enterprise business solutions and we will continue in those. We have certain areas where we think we have huge advantages and we are unfolding the programmes as we grow. One is what we call the MCube initiative through which we are leveraging the presence of Mahindras in various multifaceted sectors, which include real estate, finance, manufacturing and distribution. So, we are leveraging their domain knowledge strengths. Along with Tech Mahindra, we had done a synergy meet very recently and are unfolding solutions around connectivity and enterprise mobility. And, a fair amount of pilot cases have already been launched. Overall, we are running this MCube advantage. FIIs to keep selling Indian stocks till mid-2011!